Today, I ventured on one of the coolest experiences of my life. 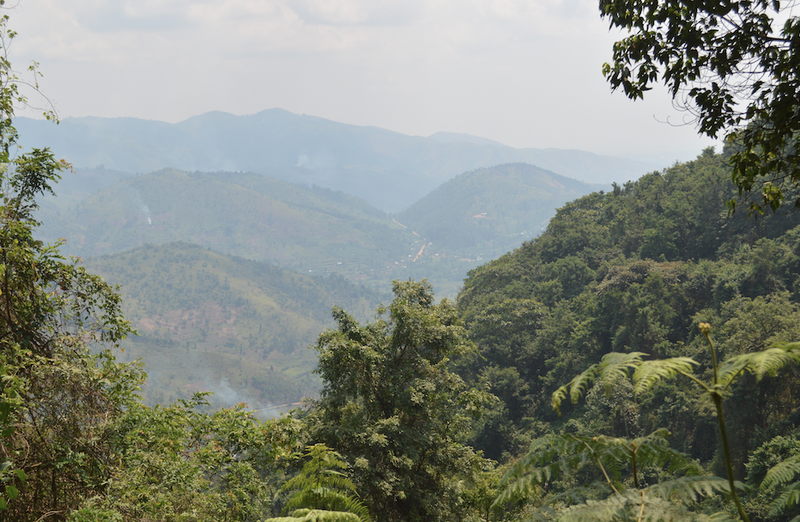 After traveling in the car for quite some time, we reached the remote mountainous areas of Bwindi. This area is known for being surrounded by the Impenetrable Forest, and very close to the border of the Congo. In these forests can be found some of the largest numbers of Gorillas around the world. This was very exciting to me, and I was hoping I would have an opportunity to see my favorite animal, unfortunately that did not happen, but what we did do was almost as cool. We got the privilege of hiking up into the enormous forest with a guide. On our way up the steep trail, I saw on my right side, fairly fresh Gorilla droppings, which meant they had passed through that area fairly recently, but obviously not recent enough to see them. What amazed me while hiking up was looking back and seeing the beauty of the rolling mountains and the villages down in the valley below. The breath taking view was by far one of the coolest things I have ever seen.